Sample Sale Alert: Christopher Kane in London this week! Get out your calendars, right now! 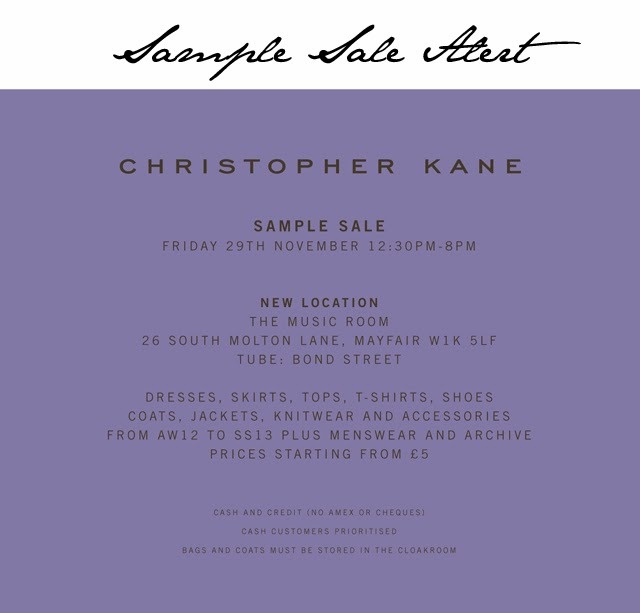 London superstar Christopher Kane is having a sample sale this Friday in London and it's open to the public. All the details are above and I have it on good authority there are going to be some mega steals here. Think major discounts with prices starting at £5. We suggest you get there early. Fashion followers will be out in full force. See you there!